Nairobi is the capital city of Kenya and East Africa’s most populous city (3.5 million). Nairobi was founded in 1899 as a railway stop en route to Mombasa. Within a decade it grew to become the capital of British East Africa and became Kenya’s capital after independence in 1963. Nairobi is known to as a modern city center with. English and Swahili languages are widely spoken. Nairobi is the only city in the world that is gazed upon by zebra, lion and rhino in the wild. Nairobi National Park was established in 1946 before the city burst its seams. 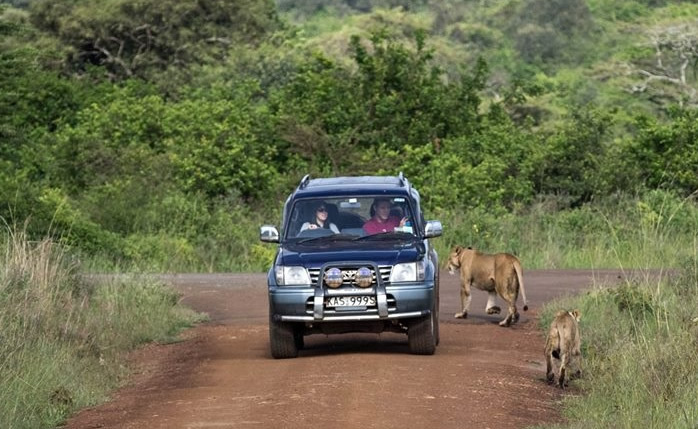 Nairobi National park is located just 7km from the city center and protects a variety of wildlife like black rhino, lion, leopard, cheetah, hyena, buffalo, giraffe, zebra, wildebeest, elands, hippo and more than 400 species of birds. 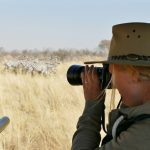 Game drives and a “safari walk” are on offer for visitors. Visitors can also spend the night inside the park due to a variety of accommodation. The museum was founded in 1920 and established at its present location in 1929. While at this museum, expect to learn about Kenya’s history, culture, paleontology and art. Many of the fascinating anthropological discoveries by the Leakey family can be found in the Museum. A botanical garden and two restaurants make it a nice place to visit for a few hours and escape the more crowded, traffic congested city center. 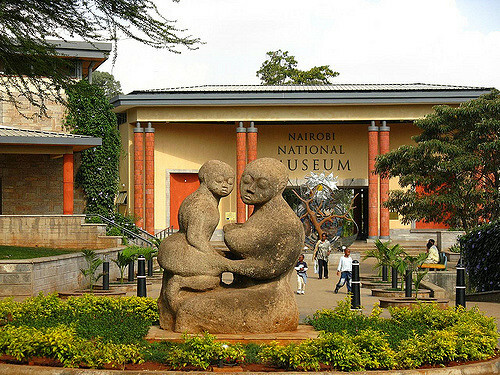 The Nairobi National Museum is open from 8.30 am to 5.30 pm daily. It is a pleasure to have breakfast at Nairobi’s Giraffe Manor. Giraffe Center is a successful breeding center for the rare Rothschild Giraffe, found only in East Africa. The center was established in the 1970’s by Jock Leslie-Melville, who successfully raised a baby Rothschild giraffe at what was then his home, in the Langata area of Nairobi. The breeding program has been very successful and several successful giraffe couples are back in the wild. The center is open daily for tours and visits from 9am – 5.30 pm. Kibera is home to more than a million Kenyans, hailing from every national tribe, all living in a small area that covers just 2.5 km2. 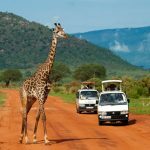 It is also an eye-opening experience for visitors to Kenya, who may otherwise only see a side of the country bereft of modern culture and “real life”, especially those traveling on a luxury safari itinerary. The local guides are from Kibera themselves and offer a good insight into daily life and Explore Kibera Tours. Visit the Kazuri Bead factory and Pottery local crafts. The ceramic beads, pottery and leather goods are all handmade by disadvantaged women. “Kazuri” means “small and beautiful” in Swahili and was named by the founder when she started the company with just two Kenyan employees in 1975. Opening hours: Monday – Saturday 8.30am – 6 pm, and Sundays from 9 am – 4 pm. There are certainly better restaurants in Nairobi, but the Carnivore is just a fun, meaty tourist delight. As the web site says, the Carnivore offers a “Beast of a Feast” this is not a good place for vegetarians (but there is small menu for you). The meat is pinned onto Maasai spears and braised over a huge charcoal pit in the center of the restaurant. The meat used to be exotic game, but now comes from four legged beasts that everyone recognizes, namely pork, lamb, beef with the occasional ostrich and crocodile thrown in. The food is accompanied with “dawa”, a staple Carnivore cocktail that will enhance your mood and make you brave enough to try some of the hottest accompanying sauces. The Carnivore can accommodate large groups, and often does, so this is not really a romantic dinner destination. Adjoining the restaurant is Simba saloon which hosts live music several nights a week. The restaurant is open every day for lunch and dinner. Find aplenty of gift shops in Nairobi’s upscale hotels and shopping centers. 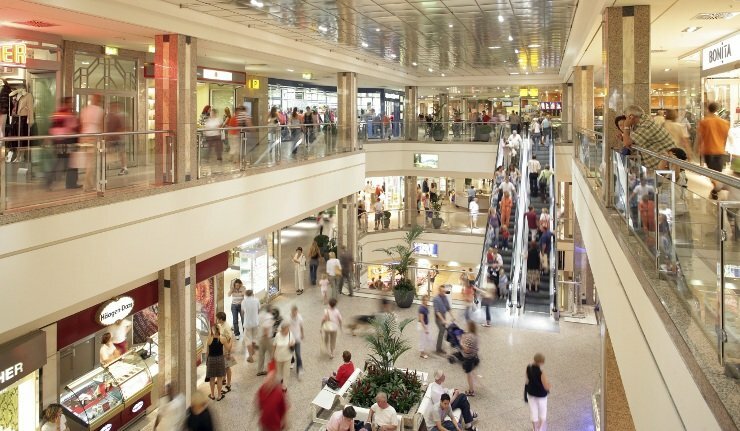 Here are a few of my favorite places to shop for souvenirs. If you like markets and bargaining, check out the Maasai market held at various points in the city on alternate days. There are traditional crafts for sale, wood carvings, Maasai beaded necklaces, baskets and lots more. The downtown City Market is also worth a browse. For unique gifts, some made from recycled flip-flops and cans, head to Marula Studios in Karen. You can get a tour of the flip-flop recycling process, purchase a pair of Maasai sandals, and enjoy a good cup of coffee in the cafe.